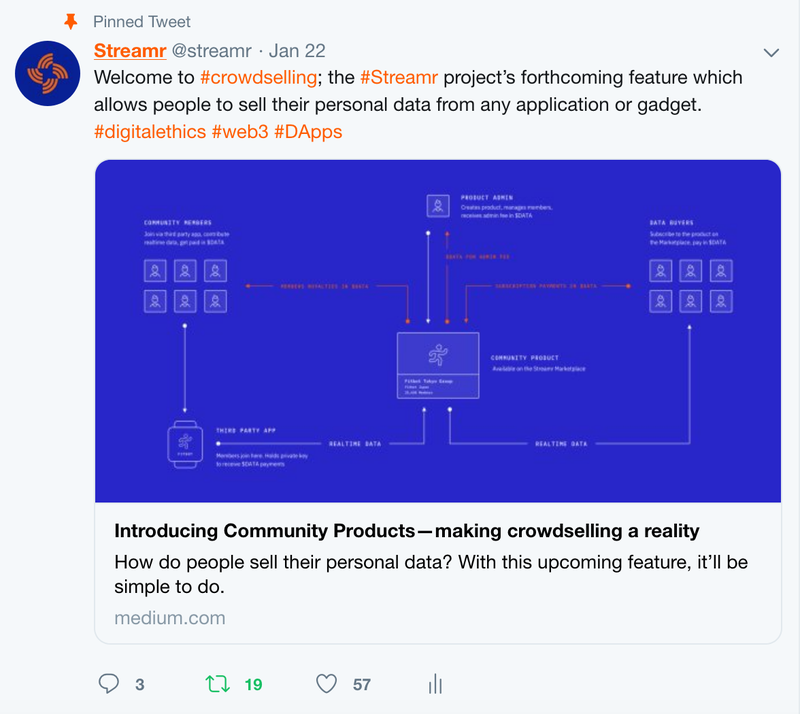 Streamr has come a long way since we brought our crowdfunding to a close back in October 2017. And so much of our current success is down to you, our community of nearly 10,000 strong. Whether you’re on Reddit, Telegram, Peepth, Twitter, YouTube, GitHub or one of the frequent users of our editor and engine, your support is essential to our continued progress. Happily, many of you have asked how you can help further our shared goal of a fairer data economy, so with this in mind, we’ve launched the Community Fund — backed by 2,000,000 in DATA tokens — to help implement ideas with some real resources at the community’s disposal. Community Fund projects can be picked up and proposed on the Community Forum. We’re always on the lookout for talented individuals who can contribute to the Streamr project, and with the launch of the Community Fund, we’re ready to provide funding for projects that help us grow. If there’s an integration, use case, or product you’d like to build or explore using Streamr, we’d love to support you. 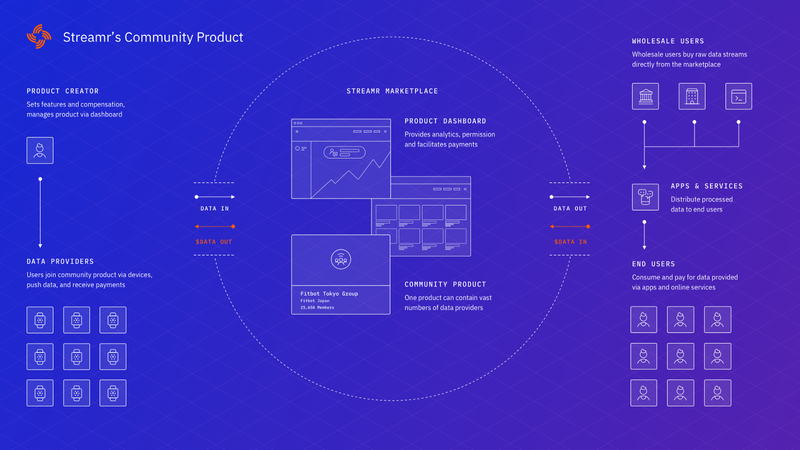 The functional flow of a Community Product — coming soon! Our real-time data Marketplace (now open sourced) is starting to fill up with dozens of free and paid for streams. This data can be easily utilised in conjunction with the Streamr Editor tool, allowing anyone to rapidly connect real-world events to smart contracts. It’s also fairly simple to connect IoT devices or create a new data stream such as in this Fitbit example. You can make use of our API explorer to start building dApps on top of the Streamr platform. We’re currently working with developers on projects to consolidate global air pollution data streams into a purchasable bundle on the Marketplace, and turn web browser data into products on the Marketplace. Integrations with privacy focused dApps or browsers, such as Brave, are something we’re very keen to pursue. To discuss or propose a project with us, please write to us in the community fund Reddit thread, our Telegram channel, developer forum (coming soon! ), GitHub, or send an email to contact@streamr.com. We’re always on the lookout for other projects and initiatives aligned with our ambitions or a potential beneficiary of our tech stack. If you can broker an introduction to a new partner or simply inform us about a collaboration that leads to a relationship with Streamr, we’ll reward you as part of our bounty program. Just send an email to contact@streamr.com with as much information as possible and our partnership team will do the rest. We’ll then be in touch about compensation if an agreement is generated. 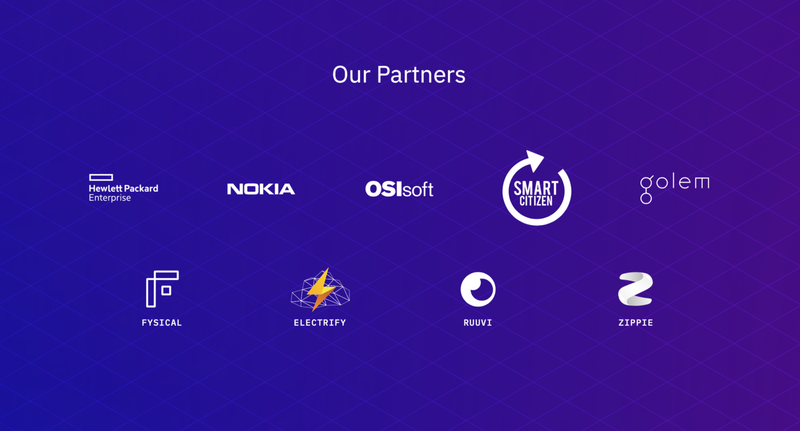 You can find the existing partnerships at the foot of our homepage. The crypto sphere is relatively small and self-contained so we’re open to collaborations that help us reach new audiences. This might mean collaborating with us on an article or video on your platform, guest posting on our blog, sponsoring an event with us, or running a joint social media campaign. For the visually minded, infographics and banners that highlight key concepts can be a great tool for communicating complex ideas. Brand-focused design elements or other creative ideas such as artwork or stickers can also be supported by the fund if everyone likes the concept. We’ll have a style guide and pack with our design elements coming soon (on the new website), and we’re happy to provide them individually in the meantime. Please contact the community in the Telegram or Reddit thread, and share your idea there. Tutorials are a great way to encourage active participation and communicate key features and use cases to specialised audiences. The topic of the tutorial and how you present it is up to you, and can be based on your skills and interests. Streamr brand elements and our style guide can be shared and you’ll find most of the information about the project in our FAQ. Our existing tutorials are hosted on Medium and Youtube. Share your tutorial in Telegram or Reddit when you’re done and if it’s good we’ll feature it on our channels and compensate you in DATA. 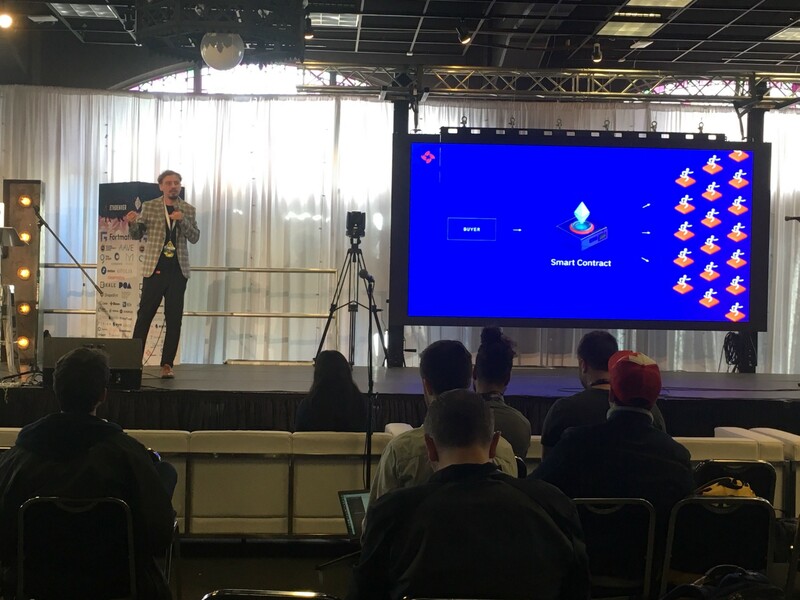 We’ve already seen some nice developer tutorials highlighting use cases and integrations of Streamr products. The Editor is currently undergoing a complete refresh, to be launched in March, and a new User page section will be introduced at the same time. We’ve recently created a new API explorer to improve developer experience — so there’s a lot to explore and explain to others! If you need help, you can reach out to @weileiy on Telegram or post in our community-run developer forum. We can’t wait to see what you come up with! Highlighting use cases for the data already available on the Marketplace, working with the Editor to analyse data streams, and examining industries or apps that might benefit from a decentralized real-time data marketplace are just a few possibilities for enterprise tutorials. 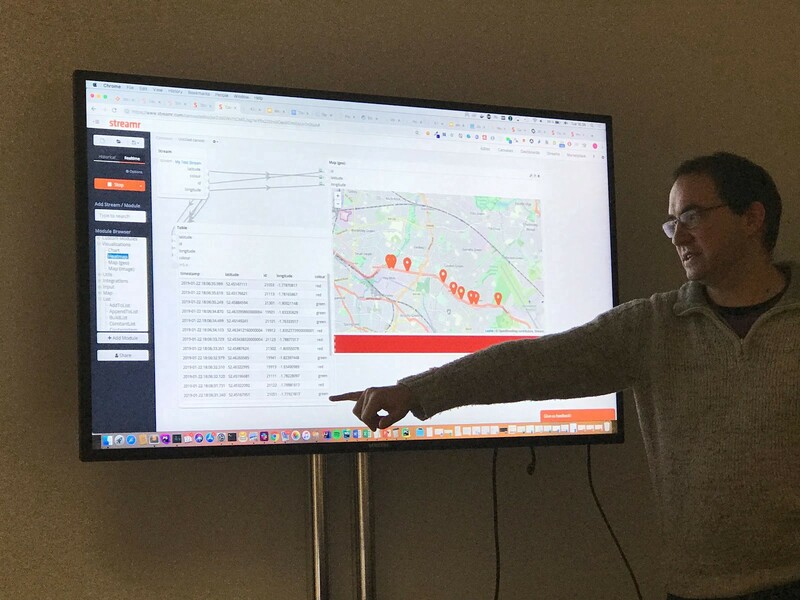 A good example of tutorial material to aim at enterprises might be the recent hackathon we held with representatives from the UK transport sector, which explored how a decentralized real-time data economy can power the smart cities of tomorrow. Explaining the fundamentals of decentralization, cryptocurrency, or introducing Streamr and the challenges we’re tackling around the data economy can be a great way to attract new users. For example, you might build on our explainer video or introduce the concept of crowdselling by explaining some of the problems that exist with the way our data is used today. You could also present the Network and community products as a means to take back some control for a fairer data exchange. Another example might be to experiment with some of the canvas templates and streams on our marketplace to show some of the insights that can be drawn and their value for dApps. Sell your Fitbit data on the Marketplace! Meetups are a great way to educate, learn, and build connections with like-minded individuals and projects. If you’re interested in hosting a meetup on a related topic — such as decentralizing the data economy — or on Streamr’s behalf, we’d love to discuss how we can support you. Hackathons are also a great way to find and build new use cases for our technology and attract developers. It may be possible to provide funding in DATA to cover expenses, help with promotion through our channels, or contribute as sponsors or co-hosts. Just tell us a bit about yourself and your event plans on our Telegram or email us at contact@streamr.com and we can take it from there. There’s already a community-led event being planned in the Netherlands for June 2019. Decentralized tech has a global appeal, but most of the content we produce is in English. Translations are therefore a great way to help us expand our reach. Not everything needs translating, so these are the best places to start. Our YouTube channel directly accepts subtitles and closed captions for our official content, and the platform offers surprisingly convenient tools that make tricky syncing of subtitles a thing of the past. Videos with an evergreen appeal, such as our explainer video and product demos, are the first priority for translations. Others to focus on are tutorials. Tutorials can be a challenge to interpret due to their technical nature, but can have a strong impact with an appeal to developers. Additional content with long term potential includes broader industry talks and explainers, such as this presentation on decentralization from Henri. 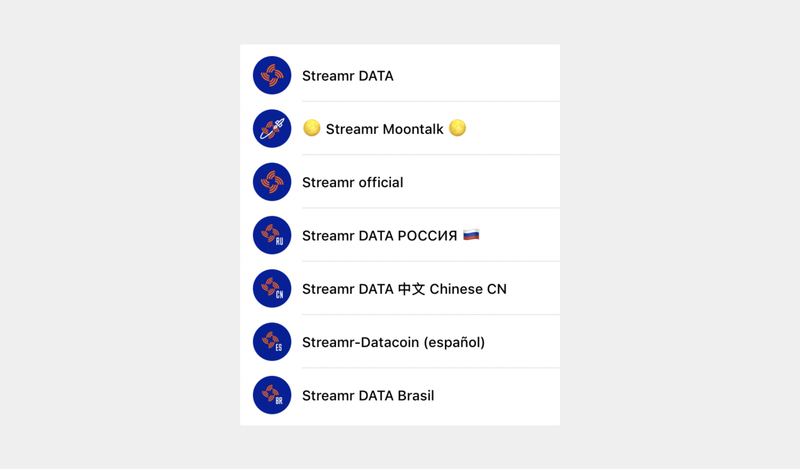 Translating and reposting key updates from the Streamr Twitter or Telegram announcement group into other language communities is a great way to keep supporters from other regions up to date. We currently support dedicated Telegram groups for German, Chinese, Spanish, Russian, and Portuguese languages. Are you an influencer in the crypto community with an established audience? If so, we’d love to collaborate. This might mean creating exclusive content for either of channels, such as interviews, webinars, blog guest posts, or even infographics and mini-videos, specifically for your followers. Please get in touch at media@streamr.com. If you have followers with similar interests, it would be marvellous if you could sometimes share our content and stories. While we don’t want or expect people to flood their social channels with our brand, we do aim to create content that is beneficial and educational to an ever wider audience. A retweet, share or crosspost, with some interesting commentary can do the world of good in helping us reach a new crowd! If you aren’t already, you can get involved in one of our many channels: Reddit, Twitter, Streamr blog, YouTube Streamr channel, LinkedIn, Peepeth, GitHub, YouTube, our Official Telegram Announcements channel and the Telegram chat co-organised by our community. Every chat room needs active community members with varying time zones and work schedules to share updates, answer questions, and debate topics. If you can drop by and give someone a piece of information hours before Streamr staff can get to it, you might have saved someone’s day, or project. 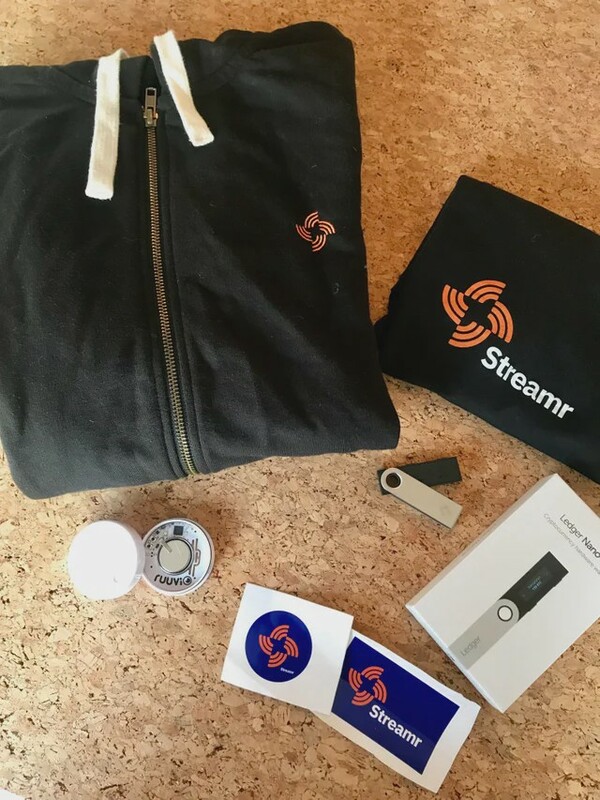 Every month, we select one person who we feel has helped someone or contributed the most to our ever-growing community and send a little thank you pack full of Streamr goodies. The Hero of the Month’s contribution could be an imaginative use case, an intriguing project, especially interesting insights or even answering questions — the only requirement is that whatever they do must benefit the community. If that sounds like you or you know somebody who fits the bill, let us know so we can celebrate their contribution. So, there you have it, #8 ways you can help our community grow. Needless to say, we’re incredibly thankful for the support each and every one of you has shown us already. We can’t create a successful decentralized project without you. If you have any more questions or suggestions, please let us know or post in the community fund project suggestions thread. As ever, we’re all ears.